About 60 percent of Americans support the use of drones to kill terrorists overseas, a new poll conducted on behalf of the Associated Press found. However, respondents were not asked whether civilian casualties affected their approval. According to the poll, which surveyed1,077 people, roughly six in 10 Americans are in favor of using drone strikes to target and kill individuals who belong to terrorist organizations such as Al-Qaeda. The majority of support for the strikes was recorded among both Democrats (close to 60 percent) and Republicans (72 percent), while 45 percent of independents voiced their support. Only 13 percent of respondents opposed drone strikes. Some 24 percent were unsure. The survey also found that a large majority of Americans – almost 75 percent – believe it’s okay for the government to target and kill American citizens who are members of terrorist organizations. If a strike could potentially kill innocent Americans, though, respondents were much less likely to back a targeted attack. About 47 percent said the strike would still be acceptable in that case. Of all the people who first said they supported drone strike attacks against terrorists, 43 percent of them changed their minds and said it is unacceptable to for the government to carry out an attack if innocent Americans could be hurt, the AP reported. The poll was spurred by President Barack Obama’s apology for the death of two hostages – an American and an Italian – who were killed by a US drone strike earlier this year. Obama revealed the news last week and took responsibility for the strike. Notably, the poll did not inquire about drone strike support in the case that foreign civilian casualties may occur. “Almost everyone, of course, is going to support killing people who are trying to kill us, but that’s not who we are necessarily targeting in each case,” said Sarah Kreps, an associate professor in the Department of Government at Cornell University, to AP. 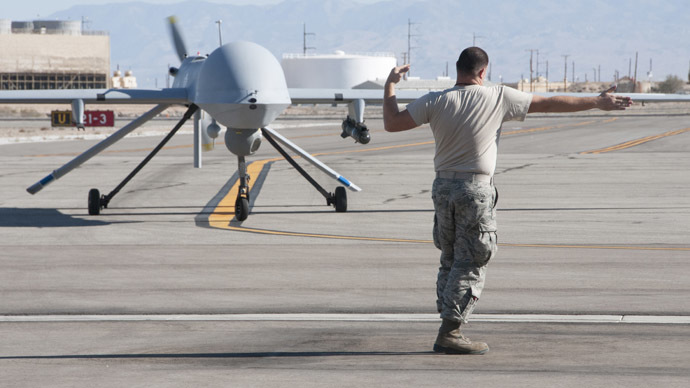 It’s possible that if foreign civilians could be killed, support for drone strikes could drop significantly, and Kreps said her research has shown support drops to below a majority in these cases. Additionally, respondents were not asked if they believe the government when it claims that most of the people killed in drone strikes are terrorists. According to the Bureau of Investigative Journalism, somewhere between 423-962 civilians have been killed in Pakistan as a result of drone strikes between 2004 and 2015. Last year, the outlet found that domestic buildings were the most common target. In Yemen, some 65-96 civilians have been killed.